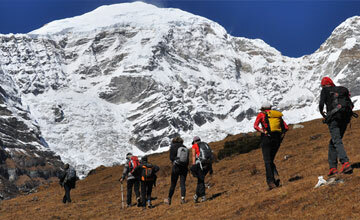 Bhutan snowman trekking is one of challenging trekking route in Bhutan. Bhutan Snow man trek is the most difficult trek in Bhutan, because one has to walk and camp at high altitude for nearly three weeks. 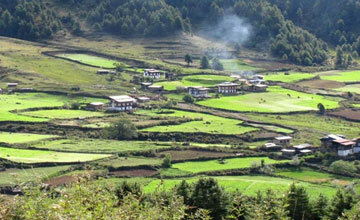 It is undertaken by only a handful of trekkers each season and accesses Lunana – the most remote region of Bhutan. 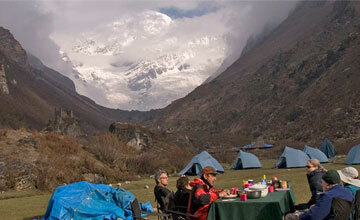 Bhutan snow man trekking offer beautiful Himalayan scenery, lush valley, beautiful landscape & Tibetan Sherpa culture. 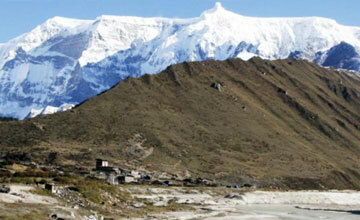 As long as one has no problems with the high altitude and the weather is good, it is not a particularly difficult trek. 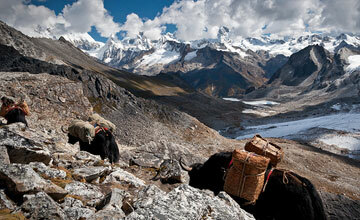 Bhutan snow man trekking is an incredible experience for anyone who takes the challenge. Bhutan’s pristine landscape, wonderful people and fascinating Buddhist culture provide the ingredients for a memorable journey into one of the world’s most remote kingdoms. At least three weeks holidays required for Bhutan snowman trekking tour but we Himalaya Journey Treks & Expedition arrange personalized / customized trekking service for relevant package trip. Bhutan snowman trekking begins from Drukgyel Dzong after a short drive from Paro, we will set out heading directly towards Jhomolhari at 7314m (24,135 ft.) the third highest peak in Bhutan. Following the Paro Chhu river valley up into the mountains will be a prelude to the magnificent high altitude trekking which follows. 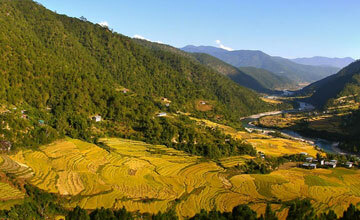 Passing Buddhist monasteries and small villages we will witness a land unchanged for hundreds of years. 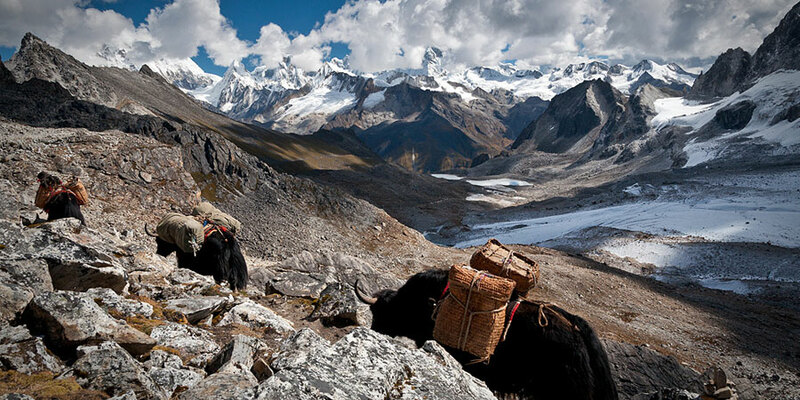 By placing a strong emphasis on preserving its natural and cultural history, Bhutan has an aura of authenticity which engages your heart and mind while trekking. Glide past blue pine, juniper and rhododendron forests, and look for the famous Himalayan blue sheep, bearded vultures and Himalayan griffons flying overhead. 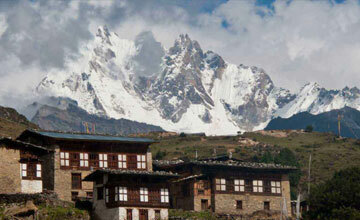 Mid june to October is the best season for the Bhutan snow man trekking tour. Since Bhutan snowman treks trail has been open Himalaya Journey Treks & Expedition arrange numerous trekkers in relevant areas with amazing lifetime experience!! Flight from Kathmandu /Bangkok / Delhi to the Kingdom of Bhutan. On the flight, you can see breathtaking views of the Great Himalayas. On arrival you will be greeted by Himalaya Journey Treks & Expedition airport representative and transfer to hotel.After lunch: visit to Ta- Dzong (built in the 17th century to help protect Paro Dzong). 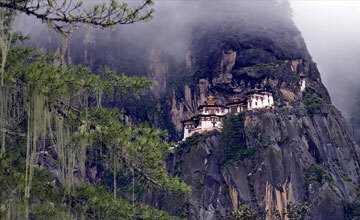 In 1968 it was turned into the National Museum of Bhutan. It has a fascinating collection of Household, Military, Royal & Religious items including beautiful Thangka Paintings. The path continues through subtropical forests and villages up to Gasa Tsachu (Hot spring) The Tsachu is a famous place where many people from all over Bhutan come to bath for its curative powers. There are four pools, ranging from mild to hot. A Hot lunch will be served here. 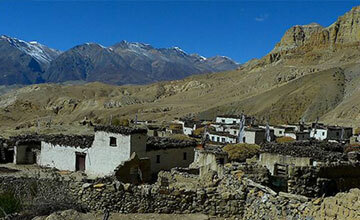 After lunch, 2 hours stiff climb to Gasa Dzong and camp below the Dzong. Day 06: Gasa - Chamsa. Altitude: 3650m. Walking time 6-7 hours. Day 07: Chamsa - Laya. 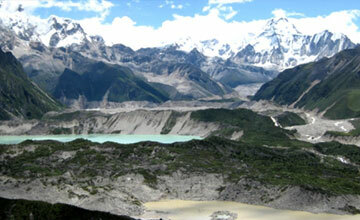 Altitude: 3,800 m. Walking time: 8-9 hours. The path starts by descending to the bank of the Mo - Chu River. It goes up and down again to detour back up the hillside, to avoid the steep spur. Lunch will be served near the side of the bridge crossing the river. 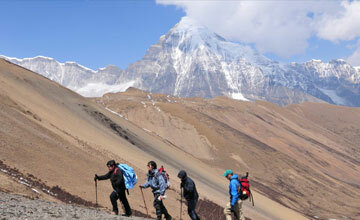 After lunch climb up gradually to Laya crossing the army camp. Overnight Camp. Laya village. Day 09: Laya - Rhodophu. Altitude: 4350 m. Walking time: 8-9 hours. Day 10: Rhodophu - Tarina. Altitude: 3980 m. walking time: 10-11 hours. Day 12: Woche - Lhedi. . Altitude: 3650 m.
Day 13: Lhedi - Thanza. Walking time: 7-8 hours. Day 15: Thanza – Tshochena. 20KM. 7-8 Hours. 4900M. Day 16: Tshochena - Jichu Dramo. 14 KM. 4-5 Hours. 4880M. Day 17: Jichu Dramo – Chukarpo. 18 KM. 5-6 Hours. 4950M. Day 18: Chukarpo – Thampe Tsho. 18 KM. 5-6 Hours. Day 19: Thampe Tsho – Maurothang. 14 KM. 5 Hours. 4000M. Day 20: Mauraothang – Sephu. 18KM. 5-6 Hours.2500M. Day 21: Sephu – Wangdue. Day 22: Wangdue – Thimphu. Day 23: Thimphu – Paro.